Distilled Theatre Company was founded in January of 2012 to provide the opportunity for new playwrights and other artists to collaborate on making theatre. We aim to put on plays that have never been produced before, and we believe in the importance of a playwright-centric creative process. That is, the playwright will be involved in all aspects of production, merging his or her vision with that of the director, to create an innovative product. As a company, we pledge to host a supportive and collaborative space in which new work can thrive. Lisha has been acting and dancing since was young and has experience directing plays at NYU and around New York City. Some directing credits include Distilled's first mainstage, "Ahoy Able Brown!" by Tyler Grimes, selections from "Shorts On the Rocks" and "The Emergency Landing at Christmas Time" by DTC Radio. She Also directed work by Sue Pak for NYC Short Play Lab, and "The Writers" for the Midtown International Theatre Festival, and "Arsenic and Old Lace" at SDJT. Lisha has experience in stage management, choreography, puppetry and lighting design. She is also certified to teach drama in New York State and is a graduate of NYU's program in Educational Theatre. Liz started her career in the arts when she entered Fiorello H. LaGuardia High School of Music & Art and the Performing Arts as a Drama Major. In college, she gained experience in many facets of theatre, including directing and producing Some Girls, Helping write and curate an improvisation show called How to Fake a Pregnacy in 20 Minutes, and sound designing Theatrix! She currently works at Exploring the Arts, a nonprofit organization whose mission is to Exploring the Arts, a nonprofit organization whose mission is to strengthen the role of the arts in public high school education. 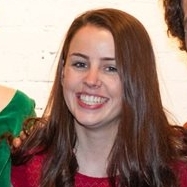 Liz holds a B.S from NYU in Educational Theatre and is working on her Master's in Elementary Inclusive Education at Teachers College at Columbia University. In her spare tim, she is part of a hip-hop/pop cover band called Hello Brooklyn. She likes bossy, going to JETS games and dancing to James Brown. Tyler is a monster maker/adventurer/scientist/occasional dodgeball champion and recent graduate from New York University with a degree in Educational Theatre. Born in New York and raised in South Florida, Tyler first began writing with the Lovewell Institute for the Creative Arts in Ft. Lauderdale, Florida. His full length plays include Ahoy, Abel Brown! and Transylvania Beach, Kentucky both of which are available on www.indietheaternow.com. He is currently working on his next full length play, The Foreverglades. His short play "Meat." was a finalist for the 2011 Heideman Award from the Actors Theatre of Louisville and recently won "Best Script" at the EndTimes produced Vignettes for the Apocalypse Play Festival. Other plays include: 5D, Pockets & Thud, Four Witches, eternalism, Hazel Green & The Mystery at Grendel Lair, Play Pretend, Gettin' Even, and The GraveRobbers. You can follow him on twitter @RIPGRIMEY. Listen Well. Create Well. Love Well. Gracie has no theatrical talent. At New York University, she majored in Art History focusing on contemporary art. After graduating, she worked in the programming department at the Institute of Contemporary Art, University of Pennsylvania (ICA). As ICA’s Spiegel Fellow, she worked to develop and implement all of the museum’s exhibition-related and educational programs. Gracie moved to England to continue her studies and received her Master’s n Art History from the University of Oxford. She currently works in London and in her spare time can be found baking large quantities of cookies.